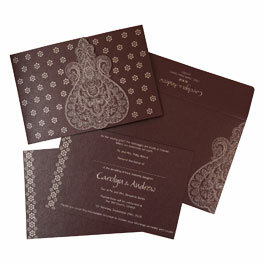 Special offers on our wedding invitations and stationery!! To get the benefits of package 1, your cart must have Wedding Cards + RSVP Cards + Thank You Cards. Use coupon code: PACK1, to get flat 15% off on the complete cart value (Including shipping and printing charges). To get the benefits of package 2, your cart must have Wedding Cards + RSVP Cards + Thank You Cards + Place Cards (Table Cards). Use coupon code: PACK2, to get flat 25% off on the complete cart value (Including shipping and printing charges). If your invitations cost is $200 or below $200, you can avail 10% discount using Coupon Code: SPRING10. This offer included 10% discount only on the Invitations Cost (Printing, Shipping Charges and Add-ons cards charges are excluded from this offer). If your invitations cost is above $200, you can avail 20% discount using Coupon Code: SPRING20. This offer included 20% discount only on the Invitations Cost (Printing, Shipping Charges and Add-ons cards charges are excluded from this offer). To refer a friend, you don’t need to sign-up; you can directly mention the details and submit. Our system will automatically share the code on your Emails (referee & referrer). We will share the code with Referee and the referrer. To use this offer, the referrer or referee need to apply the code the time of bulk order. This offer can be redeemed by many times. This offer cannot be redeemed for cash or combined with other offers. This offer cannot be redeemed after the offer expiration. You can also share the offer with your friend on Emails. If you have any queries related this program, Please contact our support team at +91-982-912-7575 or +1-650-446-6834. Or you can also chat our support team using our Chat support. We reserve the right to modify or replace any part of these terms and conditions without notice. 123WeddingCards has authority to close this referral program at any point of time. All the offers and Coupon Codes will be applicable on the bulk orders. Only one coupon code will be applicable at a time. The commitment to bringing happiness is the prime reason for us to bring mind-blowing wedding invitations to offer all the time. All our amazing offers and discounts will leave you spell bound and you would really fall in love with 123WeddingCards. We have such a vast collection of cards in these wedding cards offer that will make you super happy. 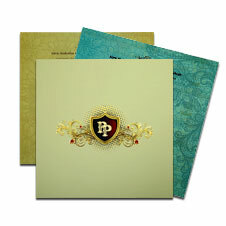 In short, all our wedding invitations cards offers are crafted to bring smile and pleasure for you. You just choose the festival and season and we have a deal waiting for you. Other than this, our remarkable offer of adjusting the cost of sample cards on the bulk order and free shipping on sample cards are everlasting and you would simply love these. For the evaluation of quality, design, and color, we offer samples as well. Cost of up to 5 samples are adjustable in the later bulk order you place with us. Samples are sent blank. In case if you need the personalized sample with your own text, additional printing charges will be applicable. Turnaround time for bulk orders is 7-8 business days for printing & processing and another 3-5 business days for shipping worldwide.